Beth Crosby was raised in the Twin Cities metropolitan area, but was born in northwestern Wisconsin and calls both places home. Beth began performing at an early age and was active in community theatre, band and choir for much of her childhood. She attended Minnesota State University in Mankato where she was involved in several theatre productions and choirs, and eventually earned her bachelor’s degree in music with the hopes of a career in musical theatre. She currently resides in Minnesota Lake. During her college years, Beth entered a difficult and painful period in her life. She was introduced to Jesus Christ by a friend in 1991 and accepted the call to music ministry shortly thereafter. Beth quickly became active as a vocalist and worship leader, serving in a number of music ministry capacities. Beth also launched a solo music ministry in 2004, where she has recorded two albums and has since established herself as a sought after musician, worship leader and women’s ministry speaker. Besides her work in radio and in music ministry, Beth serves as the music director at her church and is also employed as a community journalist for the Minnesota Lake Tribune. 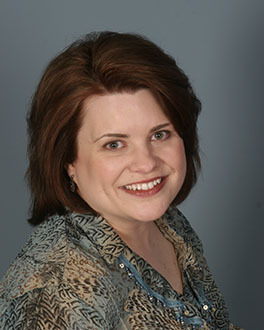 Beth’s journey into Christian radio started in January of 1999 when she began working at KJLY as a weekend announcer. She left in 2002 to pursue music ministry but returned to Kinship Christian Radio in 2005 as a program host. She is currently the host of the One O’Clock Hour, Wings of Worship and Kinship Word in Song, each aired weekdays on the radio network. Besides music and radio, Beth also enjoys crafts, snuggling with her dog, Zoey, and being an aunt to her three nieces. Above all, Beth enjoys worshipping the Lord and serving Him in whatever capacity He asks.